If we have been brought up in legalism or in the deeper and more subtle influence of a law culture and Christian performance orientation, it may be easy for us to imagine that Paul retained elements of the law as part of the equation between ourselves and God. It will take a greater effort to come to the realisation – revelation – that God cannot be reduced to law but is in fact expressed as Jesus Christ and that Jesus as Himself with no additional feature or appended prescriptions is in person the righteousness of God and more. 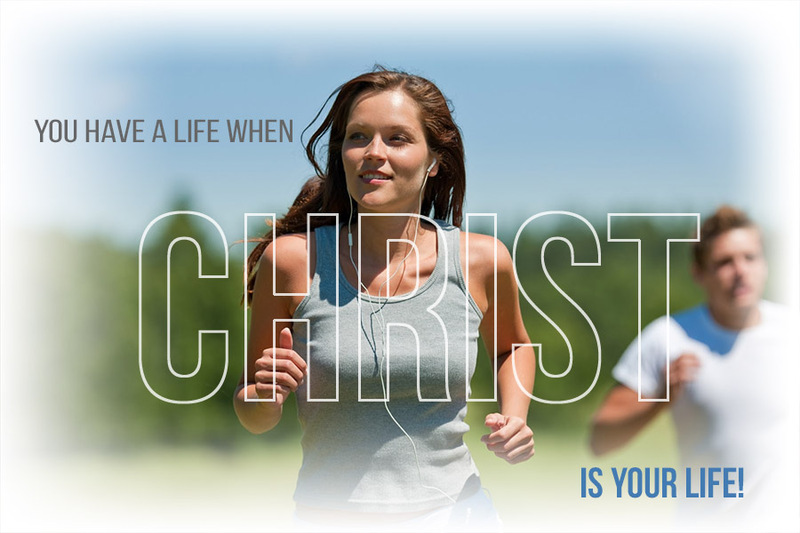 He is life itself and more pertinently your life! It would be easy, raised in Christianity, to imagine that our belief system is the reality and Jesus is a shadow or an addendum. How else do we explain the stubborn or grudging attachment of many Believers to the patterns and behaviours that we adopt as our religious life? But there is a way that is more simple and infinitely more powerful. These things are the shadow. But the reality is Christ. ‘The Son is the image of the invisible God, the firstborn over all creation. For in him all things were created: things in heaven and on earth, visible and invisible, whether thrones or powers or rulers or authorities; all things have been created through him and for him. He is before all things, and in him all things hold together. And he is the head of the body, the church; he is the beginning and the firstborn from among the dead, so that in everything he might have the supremacy’ Col 1.15-18 NIV. We have asserted often in this space that the new covenant is not an adaptation of the old and is not the law with Jesus added or the law with Jesus as our supernatural strength to enable law-keeping. There is no law in the new testament other than the person of Christ in people. Jesus is in us and with us to impart Himself! This is why we need to take careful note of the fact that in Philippians Paul equates law when compared to Jesus as excrement. A law-based religious culture not only denies us life – it ferments neuroses and mental illness. Sure – I know this is a problem for those who find it difficult to be decisive about anything. But Jesus and Paul were decisive because they lived in God and not some version of the knowledge of good and evil. The former is the home of sons. The latter the redoubt of politicians. On the road to Damascus, Paul became the subject of a drastic encounter and an exquisite revelation: he saw that the eternal representation of God was not the Torah but Jesus of Nazareth. He saw that those who received Jesus as Lord and Christ were no longer out but in. Paul saw that the person of Yahweh had been revealed in Jesus and that it was Jesus who was Messiah, Christ and Lord. In Jesus’ remarks to Paul, ‘Why are you persecuting me?’ Paul saw that there was no place for sacred violence and that the attitudes he had embraced on behalf of God were not from God. But more than this. It was revealed to Paul that his in group/out group mentality; the mentality of his doctrine and culture was not legitimate and from now on was defined as the opposite of truth. He saw that there was no merit in the cultural distinctives that he has been taught recommended him to God. Nothing about this that enabled him and his to participate in God. There was now a new way that had nothing to do with law and everything to do with our inclusion in God on account of our position in His Son. Paul saw that what recommended anyone to God and placed people in Him was a trust and belief in Jesus Christ as Lord. Paul was being shown, that he and his nation were not received or acceptable to God on the basis of the law or on account of their definition of truth. They were all were included in God’s Family on account – not of the law – but of Christ. This was a drastic back-flip for Paul. Yet this is the same re-orientation that any Christian shackled to torah must make. Don’t be misled by law-cults and Jewish revisionism. There are those who see themselves as apart from other Christians, as themselves ‘in the truth’ and the harbingers of a special message. They are grossly out of sync with the new and living way. Their message undoes what Father achieved for us in Christ. It elevates the law above Christ, makes the law god and in so doing diminishes Christ. The effect is that the ministry of Holy Spirit is denied and the spirit and soul of the Believer is suffocated. The near death and paralysis of parts of the body of Christ, does not occur so much because of the absence of Holy Spirit. It gains ground because so many have never advanced into the fullness of what Father won for them in the person of His Son: Union with Himself. ‘He has made us competent as ministers of a new covenant—not of the letter but of the Spirit; for the letter kills, but the Spirit gives life’ 2 Cor 3.6 NIV. Paul’s experience on the Damascus road is affirming to those who have abandoned the ‘other gospel’ of performance orientation to live in the new covenant power of God. It is cogently applicable to those who remain dormant through lack of insight and revelation in an old covenant mindset. Paul became the apostle of the free spirit and the advocate of a gospel that was more than a form of Godliness – it was the power of God. The radical life that is the Kingdom through you is life in the Spirit of Christ. There is nothing weak and vapid about this. This is the reality of the three-personed God alive in your body. It is you as a son positioned in your Father. It is Christ come in the flesh and by the Spirit active in the world of people and things. This is the reality in which the anointing and the gifts flourish. So what do we learn from this? Paul’s encounter brought to him the revelation that God was not with those who upheld the law but with those who received the fullness of Jesus Christ. What is fullness? It is inclusion in Christ and as a result, oneness with our Father. Fullness is living in all of our inheritance. Consequently fullness is the projection of Father’s life into us and hence into our everyday affairs in the Spirit of Sonship. It is the Kingdom of God.